Do I have to Pay Taxes on My Settlement or Judgment? - Crooks, Low & Connell, S.C.
Do I have to Pay Taxes on My Settlement or Judgment? In the aftermath of a victory at trial or a mediation settlement, plaintiffs may not initially consider the eventual practical implications of that settlement or judgment. A judgment for damages or settlement may be treated as taxable income by the government, depending upon the circumstances. When determining how to allocate your settlement or judgment funds, make sure you understand the potential taxes that might apply and know how you are going to pay them. After you settle or win your claim for damages at trial, the other party will eventually be required to pay you a certain sum of money. Depending on the type of case and/or the structure that the parties agree to, this money may be paid out in a lump sum or over time. Depending on the method you prefer, it may be paid to you by bank transfer, or by check, may come directly to you or go through your attorney first. This payment will eventually be recorded by the payor on their taxes, and in some circumstances the payee may be expected to report it as income as well. How you received the money and who you received it from makes no significant difference on whether you need to pay taxes for it. However, why you were paid is very important. Under the prior tax code and the new tax code, funds received as personal injury damages or damages based on personal sickness are exempt from taxation. This means that if you were involved in an automobile accident and suffered serious physical injury, any funds that you were paid for your injuries, your medical bills, or your recovery, will likely not be subject to taxation. The IRS broadly allows you to enjoy tax-free recovery for a wide range of medical expenses, although you will need to talk with an accountant to confirm what you can and cannot claim is exempt. Notably, under the tax code, tax-exempt funds must be related to physical injuries rather than emotional ones. So if you have sued for emotional distress or symptoms related to your emotional distress that do not originate from a physical injury or physical sickness, the tax code states that you must pay taxes on these types of damages. The one exception to this rule is medical expenses: all payments for medical expenses are tax-free according to the government. Discerning whether your personal injury award qualifies for tax-free status or not can be complicated, and there is a fair amount of nuance in the tax code. For this reason, you should always speak with a CPA to confirm what type of taxes you will be required to pay. The tax code requires plaintiffs to pay taxes on all funds received for damages that are unrelated to physical harm. This can include all kinds of payments for economic harm. For example, if you receive funds specifically allocated as back pay, front pay or lost wages, those funds will be taxable as income. In some cases, a wrongdoer may be ordered to pay you punitive damages. Punitive damages are extra damages assigned by a judge or jury to punish a party. Punitive damages are always taxable, even if they come from a personal injury case or a case based on physical harm. Where figuring out your tax liability gets particularly tricky is when a judge or jury gives you mixed damages meant to cover a wide variety of injuries or expenses, or where a settlement doesn’t clearly delineate what the payment is for. For example, if you are in a truck accident you may have damages resulting from your physical injuries, lost time at work due to injury, and the at-fault party may be assessed punitive damages. All of these types of expenses can be recovered in a lawsuit, but not all of them are tax-free. If possible, the best way to minimize this type of a problem is to have the damages you are being paid allocated as clearly as possible. On a jury form, you may ask the jury to allocate specific damages for specific aspects of your claim so that you (or your tax preparer) can more easily sort out the tax-free and taxable amounts. Likewise, with a settlement, you may want to see if the defendant will be willing to work with you to categorize your damages so that you can reference your agreement down the road if any tax issues arise. In practice, that is not always easy to do, and it will help to look back on the settlement demand that was made and the damages that were considered by the defense in making a settlement offer. While the above gives you a general overview of where and when taxes might apply to your settlement or judgment, the tax laws and guidance disseminated by the IRS are always in flux and it pays to consult with a professional who is up to date on the latest decisions and guidance. For example, with the new tax laws that went into effect in 2018, the treatment of attorneys fees awards, which some plaintiffs receive as part of a judgment or settlement, has changed and is still being evaluated, so a good CPA will be necessary to evaluate this issue. 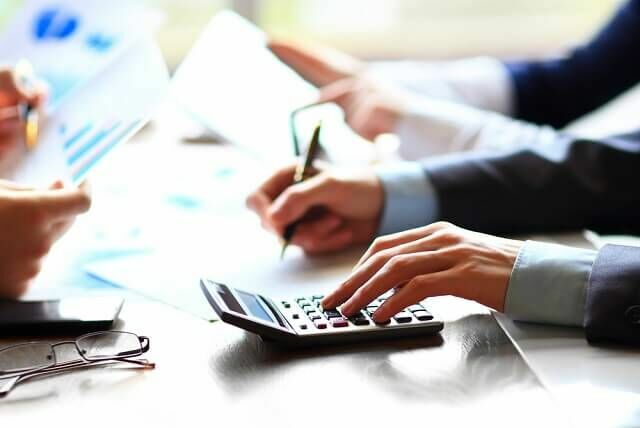 At Crooks, Low & Connell, S.C., our civil litigation attorneys may be able to assist you in determining what tax issues you may need to resolve related to your settlement or judgment, or how to evaluate your tax liability before accepting a settlement. In the event that you need professional guidance on tax-related issues, we can refer you a trustworthy CPA in your area. For more information, contact us online or at (715) 842-2291.